Toronto Registered Psychologist Betty Kershner, Ph.D. I am a registered psychologist in private practice in Toronto. I am creating this website so that you can have some idea of who I am and how I work, to help you decide if we might be a good fit to work together. It is important that you feel comfortable with me, so that you can allow yourself the kind of openness that is necessary for real exploration and change. There should be a “good fit”. I encourage you to think together with me about what you want from our work together and how you feel that it is going. 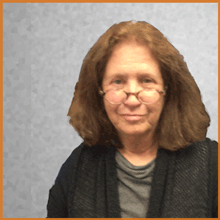 Registered Toronto Psychologist Betty Kershner, Ph.D. I work with people of all ages and many types of issues, some of which suggest different approaches. Together, we consider the best method for what is on your mind. I perform assessments, conduct treatment, and consult to individuals, couples, families, and organizations. My approach to treatment is relational and psychodynamic: I aim to get a deeper understanding of thoughts and feelings, experiences and interactions that may not really be in tune with what you want: how you want to be and how you want to live your life. With assessments, we aim to investigate strengths and weaknesses, what helps and what impedes, to find out what is going on and what works best for you. I aim for cultural sensitivity and sexual orientation support. We work together to develop practical solutions.